RPA has recently been shown to work “out-of-the-box” with primers used for PCR. 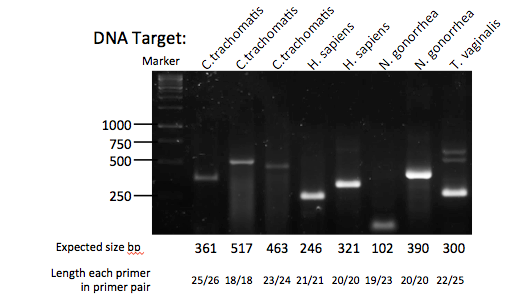 Although we have previously recommended primers of length 30-35, we now show that oligonucleotides of about 18 residues and upwards also work allowing standard established PCR primers to be used without further optimisation in many cases (amplicons up to 500bp, incubation times may vary with primer length and amplicon size, gel-based detection). RPA reactions were established using published PCR primers and 103 copies of target (mainly genomic DNA).